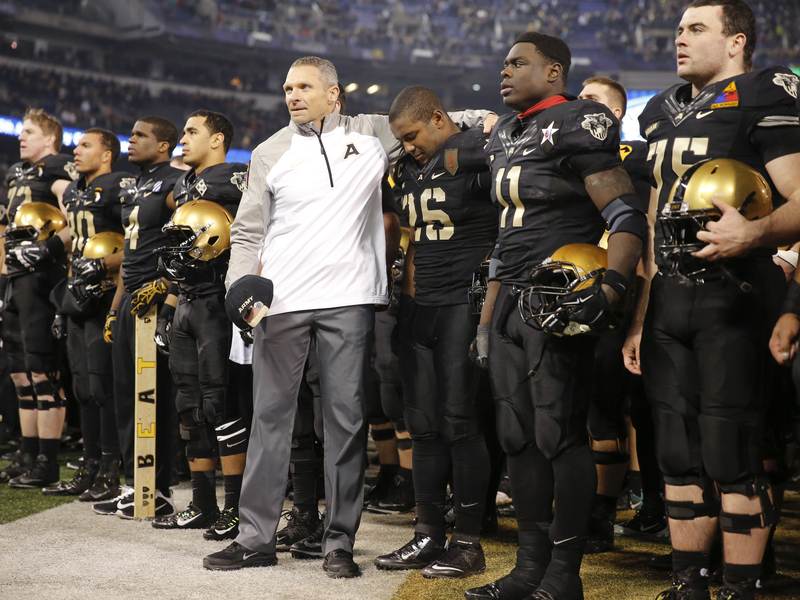 The Navy Midshipmen have won 13 straight games against Army West Point. 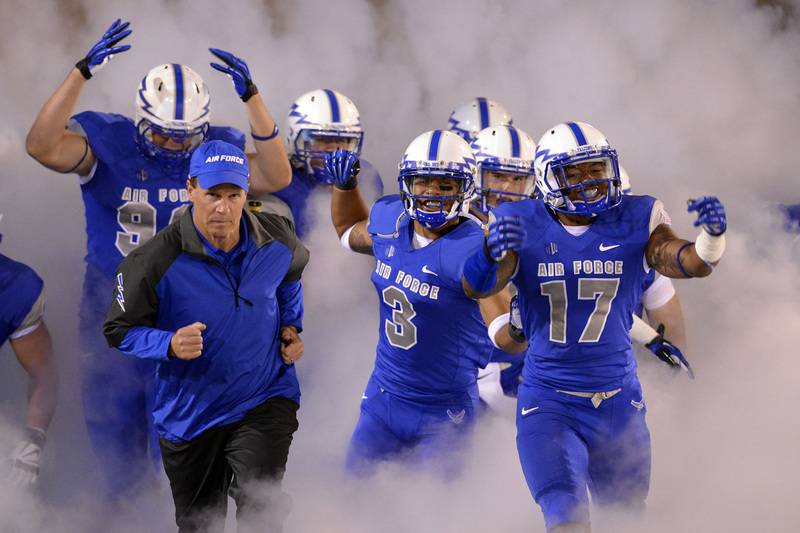 They’ve won eight straight games against all foes dating back to last season, most recently defeating Air Force. And their head coach is winning at the pay window. Navy’s Ken Niumatalolo claimed top honors among academy rivals in USA Today’s recently released annual college coach salary survey, set to take home $1,637,803 in 2015. That puts him in 58th among top-tier NCAA football coaches, ahead of Air Force’s Troy Calhoun (73rd, $919,000) and Army’s Jeff Monken (75th, $883,000). The Naval Academy Athletic Association, which handles Niumatalolo’s deal, did not release his full contract to USA Today, but said he would be eligible for bonuses as well as his base salary. Monken’s figure doesn’t include any of the $256,000 he could earn in bonuses. USA Today reports the coach didn’t qualify for any of the extra earnings in 2014. Last year, the paper reported that Monken could earn $50,000 for beating either Navy or Air Force, or $150,000 for beating both in the same season. His figure also doesn’t include the value of housing provided under the deal — a benefit for the entire Army staff that Calhoun has mentioned in previous interviews. Calhoun earned more than $120,000 out of a possible $247,500 in bonuses in 2014, USA Today reported — $82,500 for making a bowl game and $41,250 for winning the Commander in Chief’s Trophy. His base figure this year doesn’t include any of the $255,000 in possible 2015 bonuses, but does include $26,500 in “other pay” — the only academy coach with such income listed. This would include “athletically related outside income,” per USA Today, so we can rule out acting residuals. The order of finish for academy coaches hasn’t changed in recent years. Niumatalolo ranked 60th overall in last year’s survey, and Calhoun was 74th in the nation. Monken’s first-year take of $834,667 put him 77th overall. 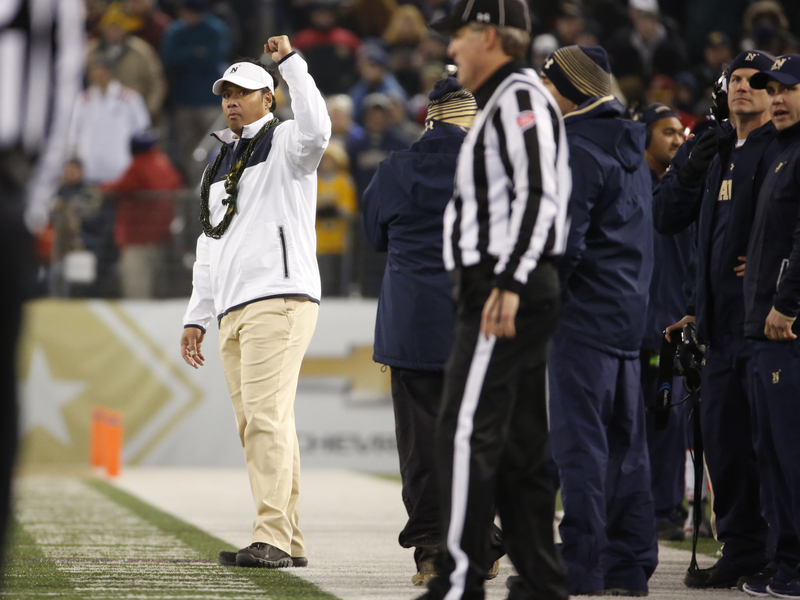 Niumatalolo’s 2015 ranks third among coaches in the 12-team American Athletic Conference. Cincinnati’s Tommy Tuberville led the league with $2.2 million. This is the first year Navy football has been part of a conference. Calhoun fared slightly worse in the Mountain West Conference, fourth on a list of 12 coaches led by Fresno State’s Tim DeRuyter (about $1.5 million). Bruce Feldman at Fox Sports wrote up a Calhoun profile over the summer that could be Exhibit A during his next negotiation session. Check out USA Today’s detailed breakdown here.